A realistic view on mental illness and how a family’s life is changed by it and how faith will help a father reunite with his children. Mac Anderson holds life in the palm of his hand. He has a beautiful wife, three loving children, a comfortable home and successful career. Everything is perfect—or so it seems. Tragically, Mac is destined to learn that any sense of security can quickly prove false. After a horrific auto accident, an invisible enemy called Post Traumatic Stress Disorder (P.T.S.D.) invades Mac’s fragile mind and drops him to his knees. He does all he can to conceal his inner-chaos, but to no avail. Left to contend with ignorance, an insensitive justice system and the struggles of an invisible disease, his family is taken from him. One shoebox might store an old pair of sneakers. Two shoeboxes could contain a lifetime of photographs. But in Three Shoeboxes, a father’s undying love may be just enough to make things right again. Steven Manchester has the uncanny ability of tackling many of life greatest fears in the most poetic and relatable ways. This is in reference to last week’s double loss of Kate Spade and Anthony Bourdain, who, on the outside, looked well and happy to those around them, yet on the inside, were suffering from an invisible enemy too strong to battle. Steven’s new book talks about exactly that enemy, depression, and Post-Traumatic Stress Disorder (P.T.S.D.) in particular. 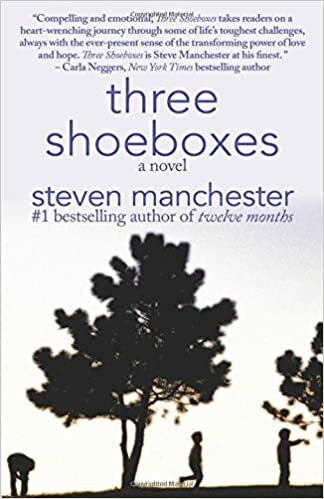 Three Shoeboxes is a story about a man, Mac, who seemingly has everything going for him, a great job, a loving family, and no big problems in life. Until one day, when he starts getting panic attacks for no apparent reason. Not wanting to burden his wife and young children with his troubles, he tries to bury his attacks deep down and ride them out the best he can on his own. Mac then turns to self-medication, which on one hand helps him for a bit, yet actually adds another layer to his demons. With the attacks becoming more frequent and violent, he starts lashing out at the only ones he can, his family. What comes next is a sadly realistic view of how mental illness not only hurts the person in question, but also those close to them. His attacks become so bad that his worst fears come to life, his children are ripped away from him. But where there is a will, there is definitely a way. And through Steven’s book, you’ll see how this one man overcomes this great adversity through his love and faith. Being a classic Steven Manchester novel, this story will make you reflect on your life as well as the lives of those around you, making you wonder if your best friend or even a member of your family could be suffering in silence just like Mac, and how we may be able to play a part in helping them get better. This might be one of the darker Steven Manchester stories to date just because it is so prevalent in the world today, but that just makes it so much more important a read, if only to help instill hope in every reader that there is always a window that’s cracked open, if only we reach for it. 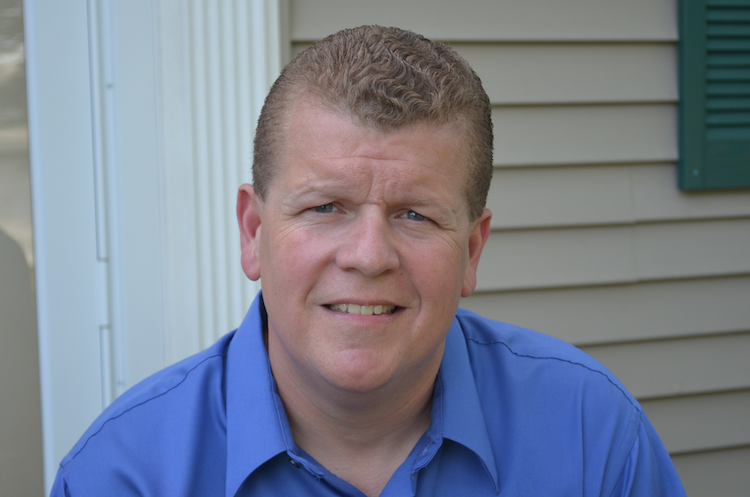 Steven Manchester is the published author of the #1 best seller, Twelve Months, as well as A Christmas Wish (the holiday prequel to Goodnight, Brian). He has also written Pressed Pennies, The Unexpected Storm: The Gulf War Legacy and Jacob Evans, as well as several books under the pseudonym, Steven Herberts. His work has appeared on NBC’s Today Show, CBS’s The Early Show, CNN’s American Morning and BET’s Nightly News. Recently, three of his short stories were selected “101 Best” for Chicken Soup for the Soul series. Disclosure: I was sent the book for review but was not compensated financially or otherwise. Everything mentioned are my own thoughts based on my experience.